Sleeping Organic™ April Event - Ends Tuesday April 30th: 15% off all adjustable bases! Call for special bundle pricing when purchasing with a Sleeping Organic Mattress. 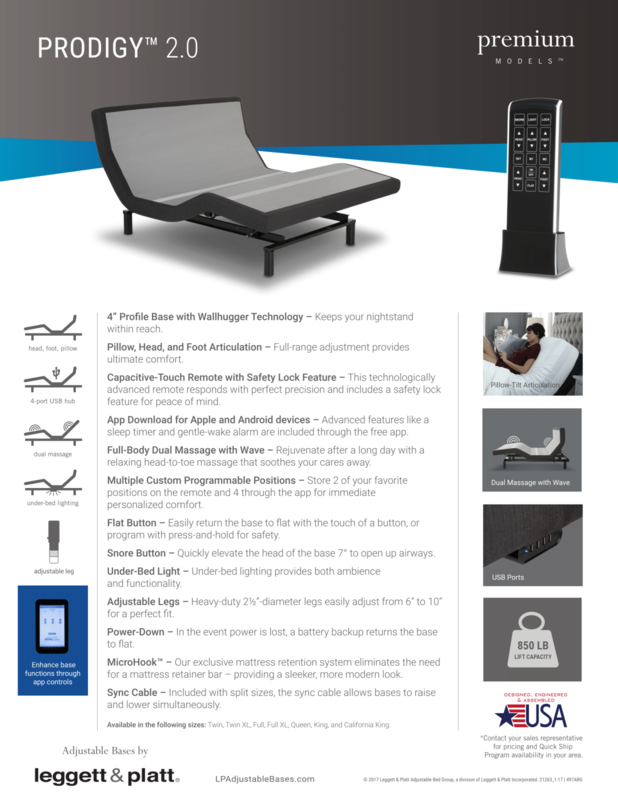 Leggett & Platt‘s most luxurious model, the Prodigy 2.0 and Prodigy 2.0+ are both best-in-class adjustable bases that cater to your health and wellness in ways you could never imagine. Added lumbar support on the Prodigy 2.0+ model provides relief for back sleepers, especially if you wake up with back aches and pain. 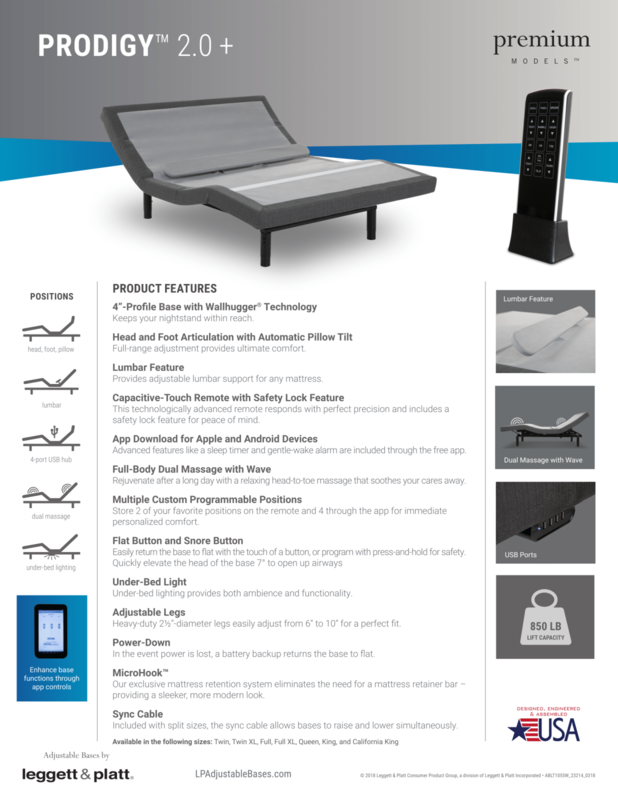 Exclusive MicroHook™ retention system technology completely prevents your mattress from sliding and slipping while the Prodigy 2.0(+) changes position and patented Wallhugger® technology allows you to position your bed closer to the wall that you ever thought was possible with an adjustable foundation. Leggett & Platt’s Prodigy 2.0 and 2.0+ each feature a “capacitive-touch remote” and many other advanced control features that can be changed and adjusted through LP’s free mobile app, that’s available for both Apple and Android mobile devices. Prepare to change the way you think about your bedroom, and the way you sleep, forever. How are the Leggett & Platt Prodigy 2.0 and Prodigy 2.0+ different? While we’re confident you’ll be happy with the purchase of either foundation, there are three main differences that could make one of the two a better option for your bedroom. Both models have the pillow tilt feature, but have different ways to make it work. 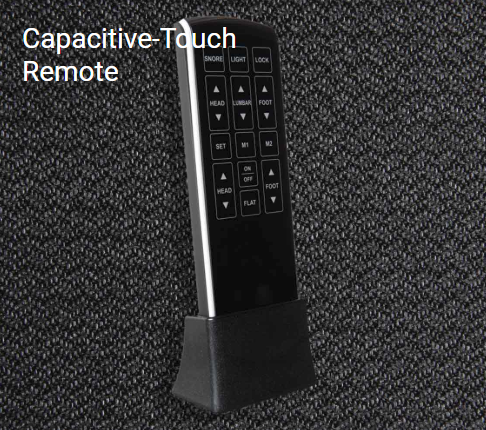 The Prodigy 2.0’s pillow tilt is controlled through the remote, while the Prodigy 2.0+’s tilt must be adjusted manually. 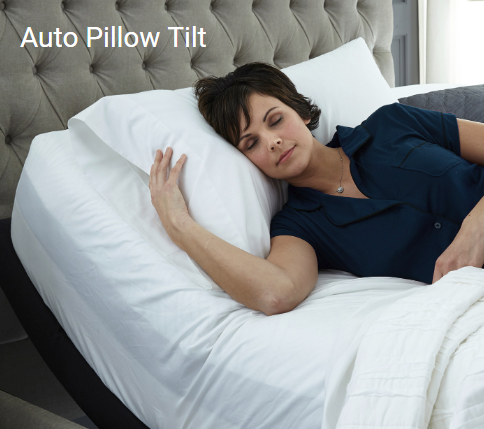 If the convenience of pillow tilt is important to you, then the non-plus version has a leg up in this category. All Prodigy 2.0+ models come standard with Lumbar support, while the non-plus Prodigy 2.0 does not offer lumbar support. 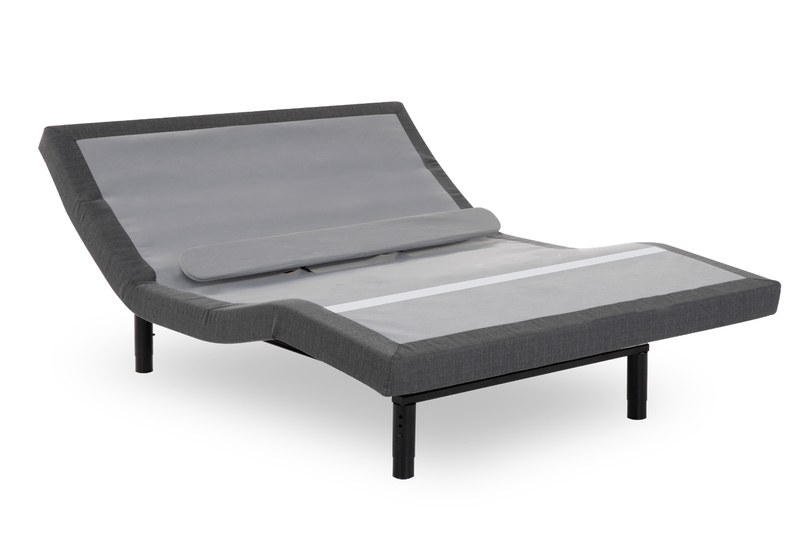 This feature can be especially helpful for back sleepers and those with with back pain, so if this is you (or your partner), then the Prodigy 2.0+ adjustable base may be a better match for your sleep style. The Prodigy 2.0 comes standard in all bed sizes; twin, twin XL, full, full XL, queen, split king, and split california king. The Prodigy 2.0+ does not offer twin or full sizes as an option. So if you’re looking for a twin size or full adjustable base, then the Prodigy 2.0 will be your only option amongst these two choices.